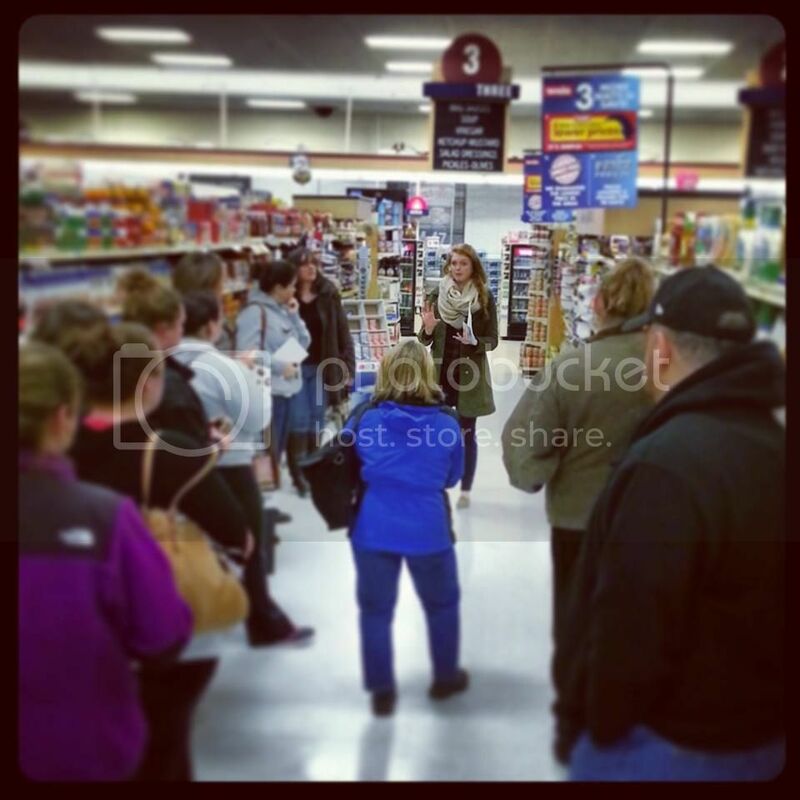 Last night I had the privilege of leading a supermarket store tour for emPower Training Systems Biggest Loser team participants, as well as a few clients who wanted to tag along for the fun! It's a little more complex than me telling you that all salad dressings and condiments are in aisle 4, I'm sure you could figure that out all on your own. But did you know that eating from the middle aisles could be contributing to weight gain? How about the fact that you're paying double what you need to for spinach or bagged lettuce!? Additives and preservatives indicate added calories in order to increase shelf-life, not added nutrition. The general rule of thumb is, 5 ingredients or less for healthy-for-you foods. Whip out your glasses and read the small print. 2. "Good sources of" might mean "bad for you"
Cereals, crackers and even Pop-tarts use this catchphrase and it holds zero value whatsoever. The food industry makes these claims, referring to the vitamins processors are required to add to enriched flour. You're not getting anything extra, so don't be fooled. Also, check the order of ingredients. Ingredients are required to be listed in order of predominance, so just because it says "good source of whole grains" doesn't mean whole grains is the 1st ingredient. That box of [insert anything here] could contain more sugar than whole wheat. Food vendors pay something called "slotting fees" in order to have their most profitable food items placed at eye level of their target audience. Unfortunately, "most profitable" usually means 'cheapest to make', not the healthiest. Ever wonder why the fruit snacks filled with artificial food coloring and hydrogenate oil are on the bottom? That's where your kids eyes roam. Moooooom, can we please get these!? Search high and low for the shelves occupied by smaller companies. Don't fall prey to the big, shiny signs that say you're getting a discount. You might not be. Let's break it down: you might get 5 bowls of cereal out of one box (90 cents per meal, without milk). A dozen eggs, however, makes 6 meals (31 cents per meal). Cereal is 3x as expensive and not nearly as healthy. Put it back on the shelf! Ever wonder why the obesity trend in America has exploded along with the "fat-free" trend? Fat is a necessary macronutrient in our diet. Don't eliminate it and expect your love handles to fall right off. Many times the full-fat versions are much better for you anyway. The fat didn't just disappear, but rather, it was replaced with some other terrible-for-you ingredient like sugar, starch or salt. Take a look at the reduced-fat peanut butter and compare it to the regular stuff next time you're at the store. There's less fat, sure, but I promise you there's more sugar. Eat. Whole. Foods. Seriously. Outside of meat and seafood, the term natural has no regulations by the FDA whatsoever. That means something can claim to be natural and still contain a million ingredients you've never heard of. For example, "Natural 7-up" Yeah, sorry, it might make you feel a little better about drinking it but you're still ingesting garbage. The food industry spends over $30 BILLION (with a B) on advertising each year. Don't choose something based on it's packaging. Read the nutrition label and ingredients. Educate yourself. Sure, the colorful cartoons on the front of the box are cute and who doesn't love the crossword puzzles, but feed your body instead of feeding into those advertising games. Just because it's "two for $3" doesn't mean you're getting a deal! Big, bright signs and strategically placed adverts are used to capture your attention and make you think you're saving money, but that's not always true. 10 for $10 and BAM, they've got you shovelling 9 extra cans into your cart because it's a steal! Right!? Not always. Use your brain. Newer PostWinter Workout + Healthy Hot Cocoa = Best SNOW Day Ever!